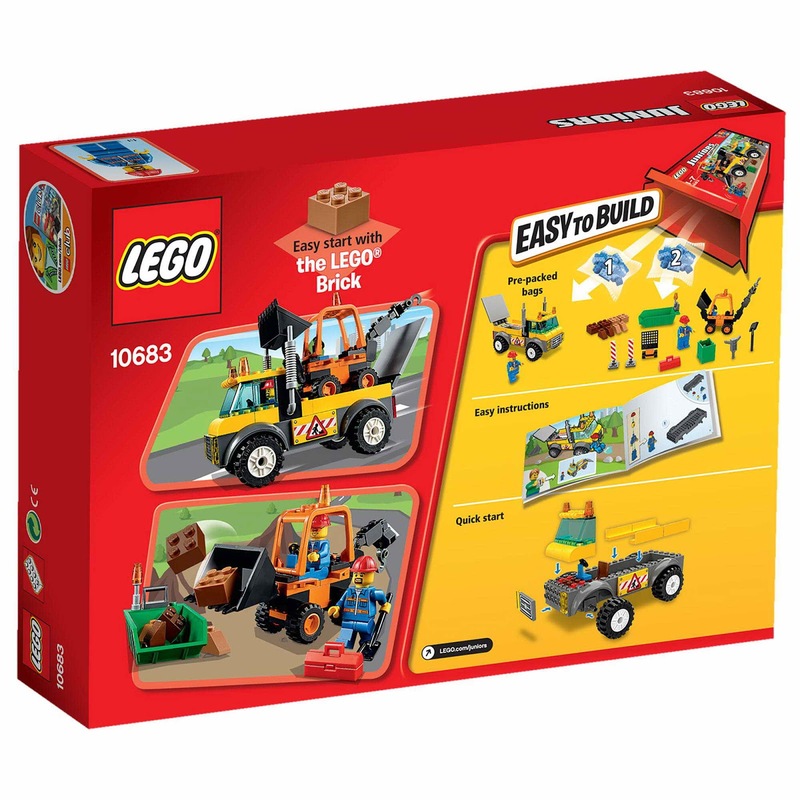 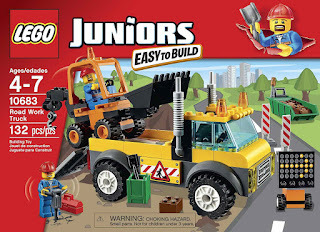 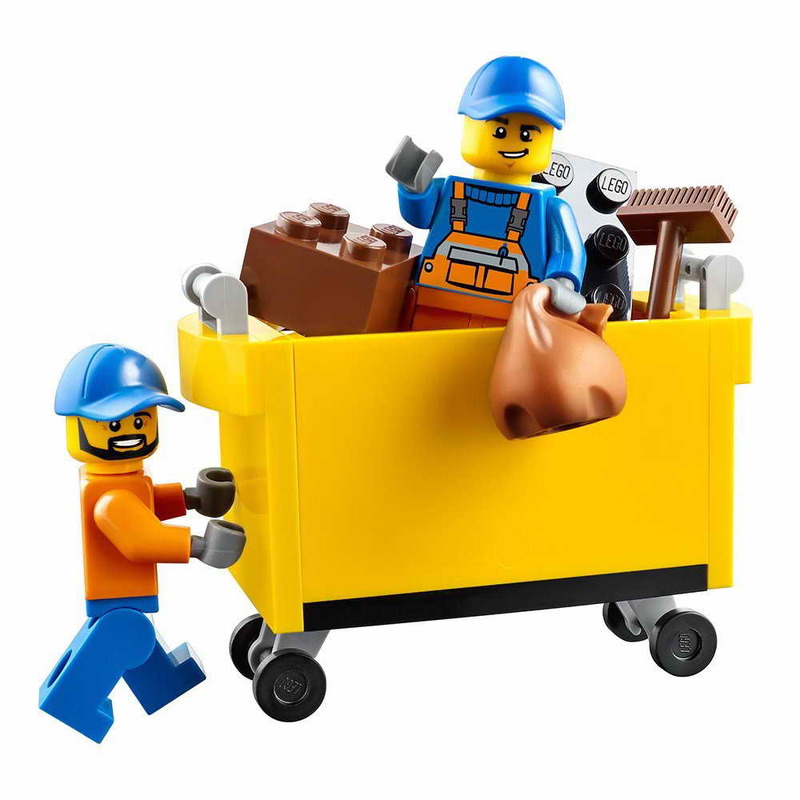 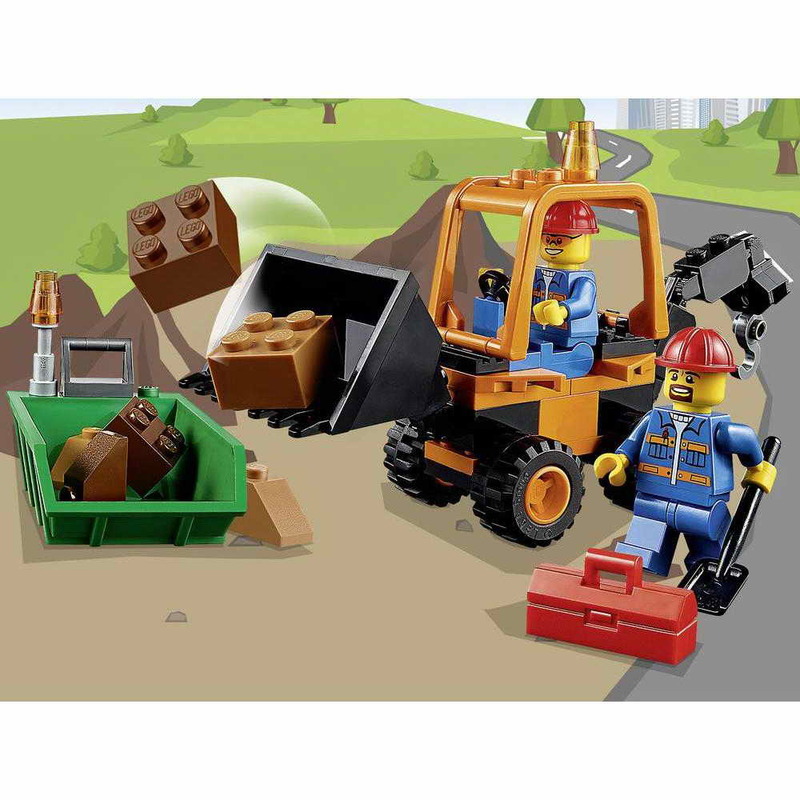 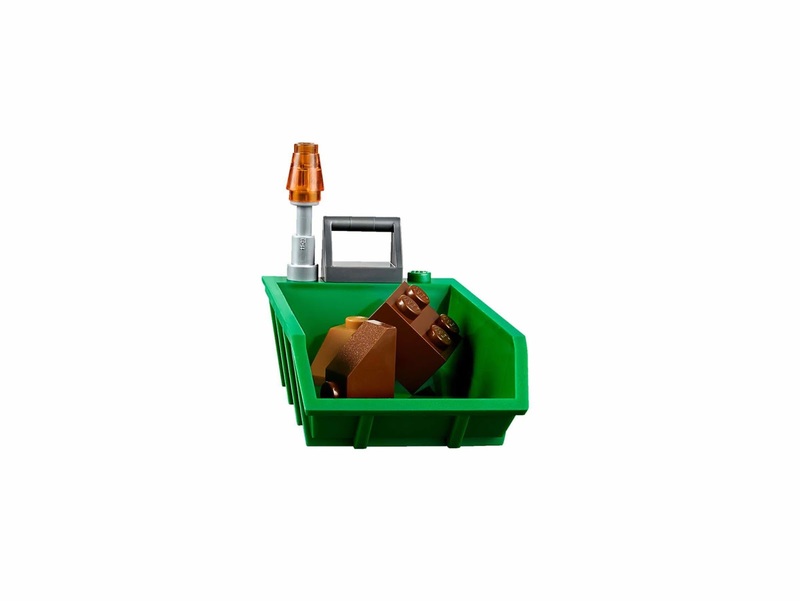 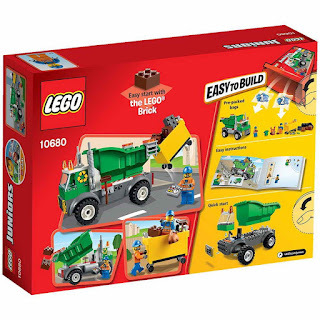 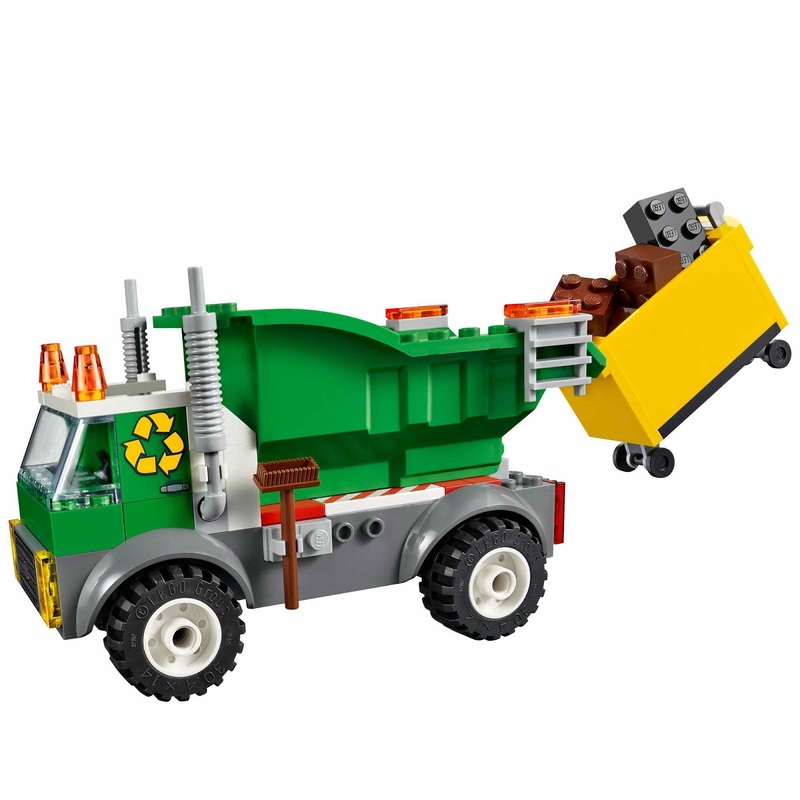 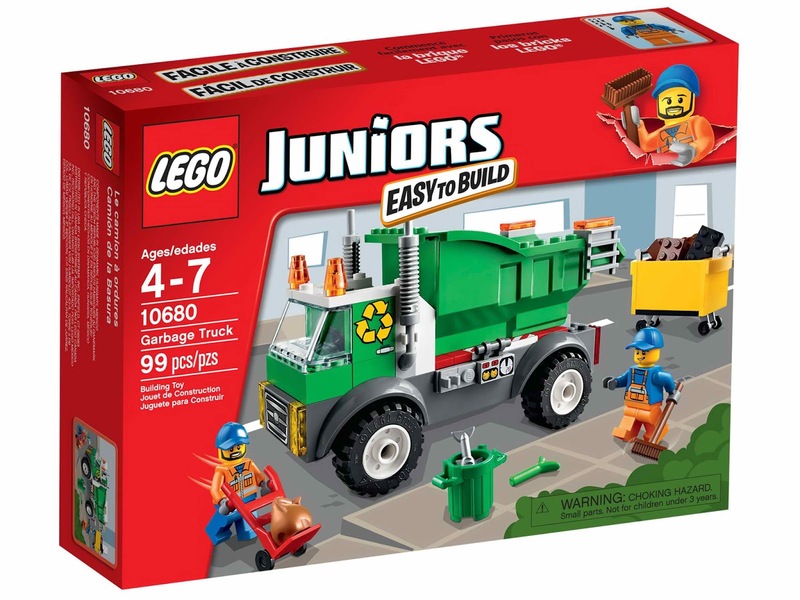 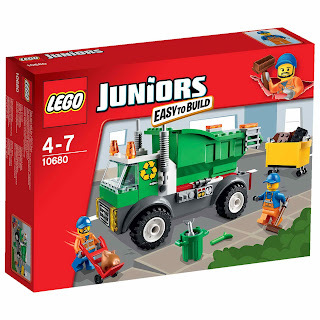 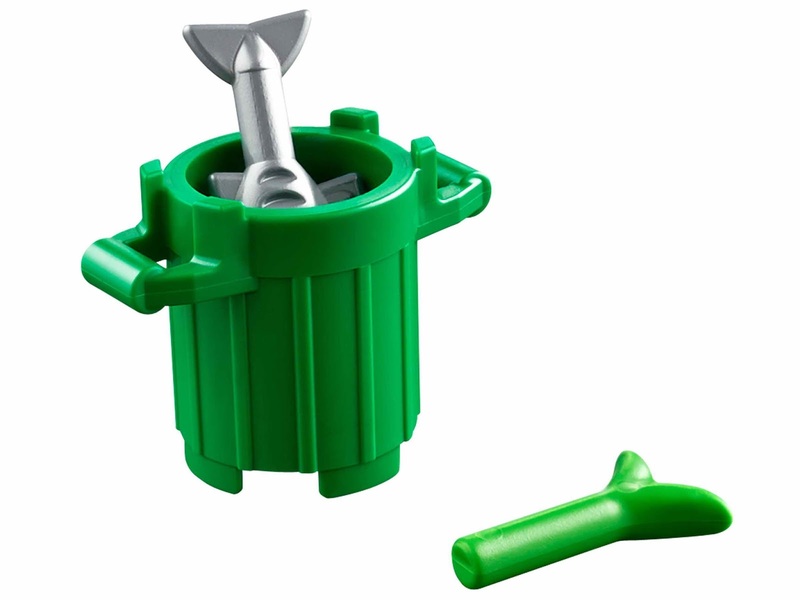 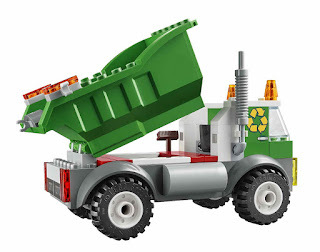 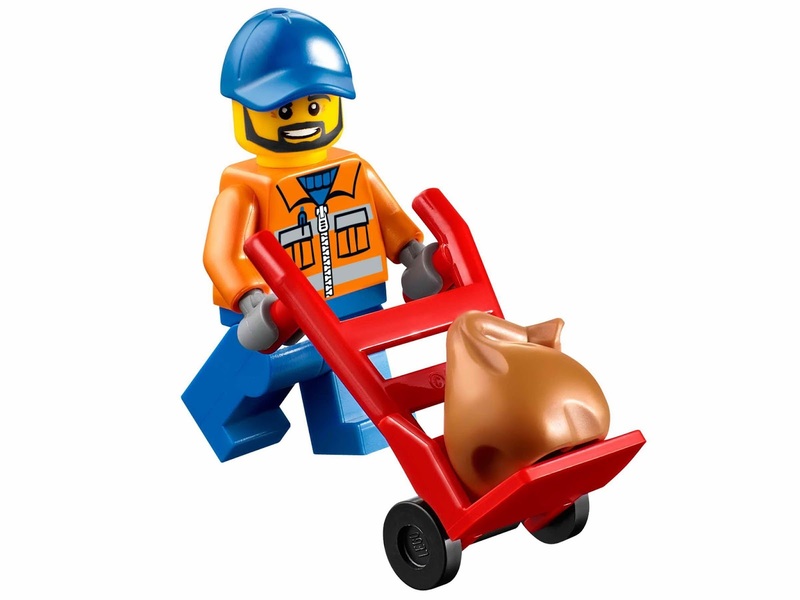 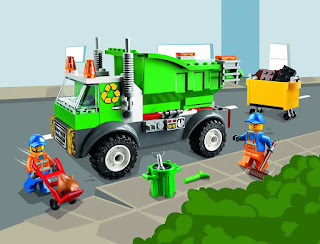 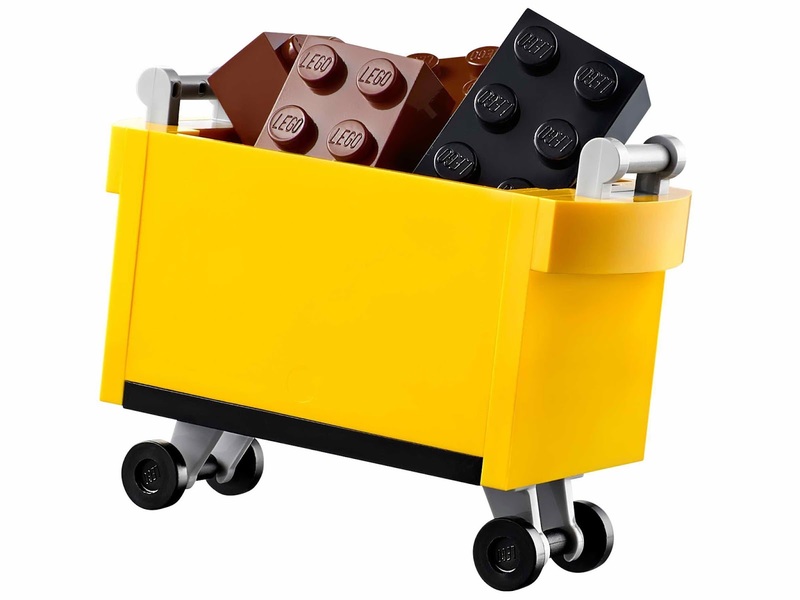 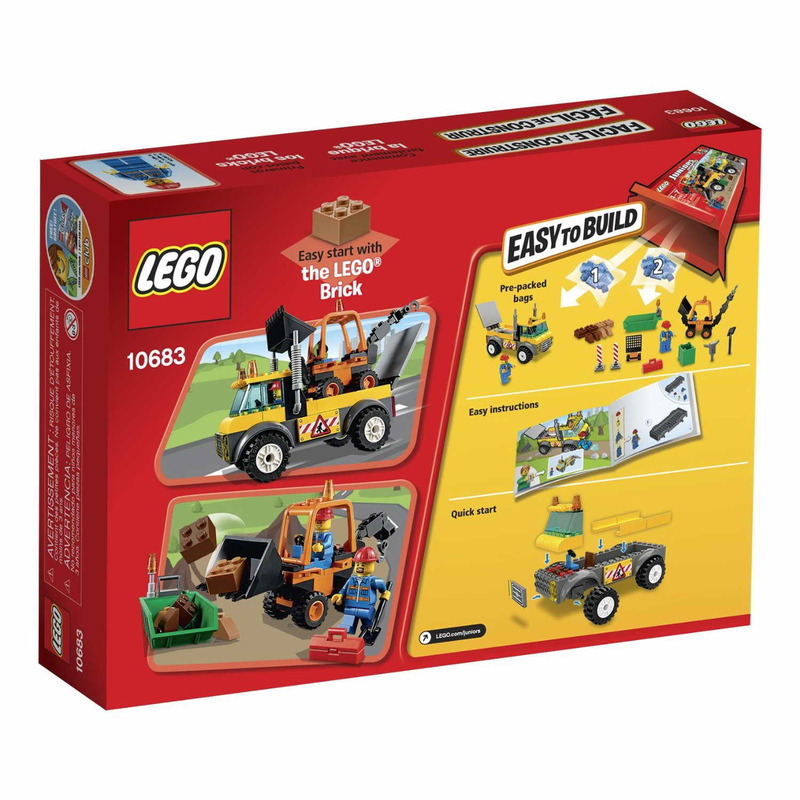 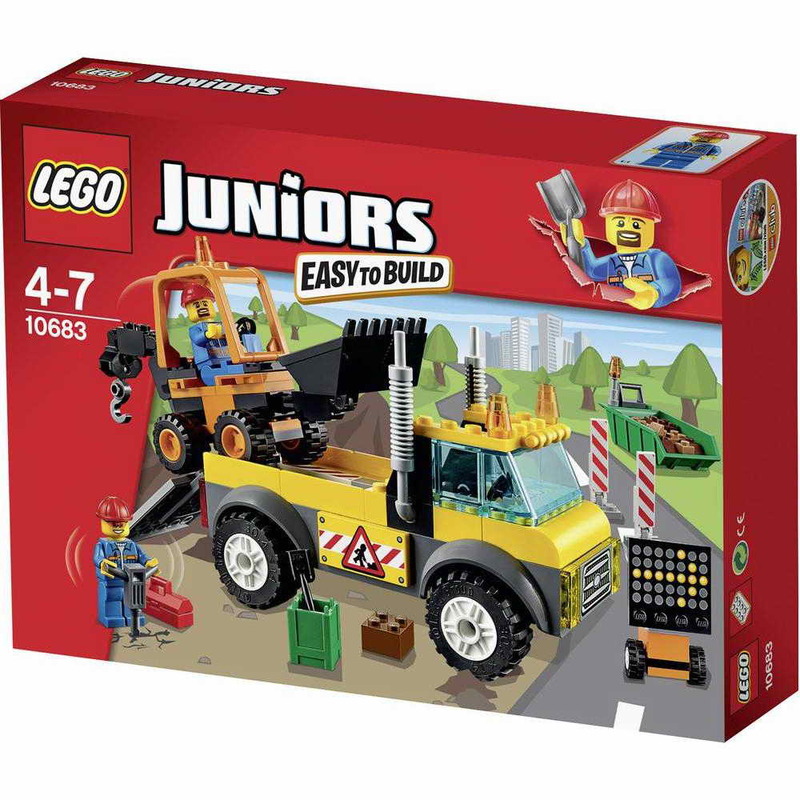 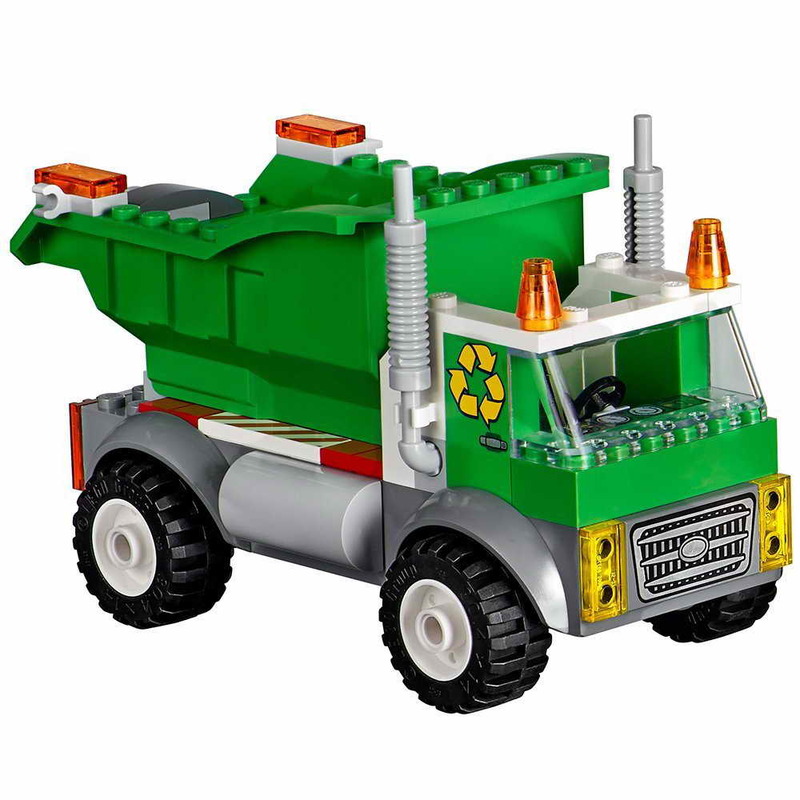 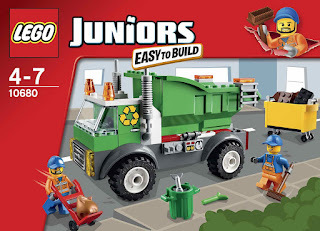 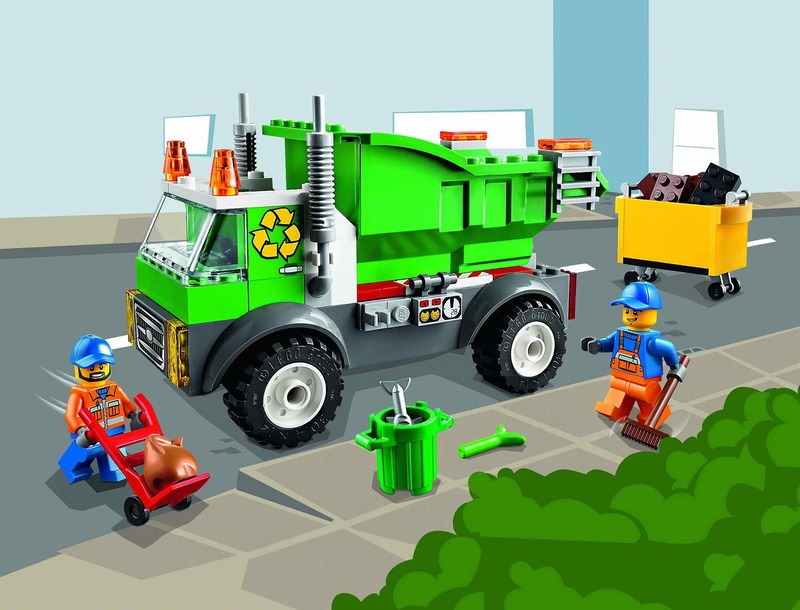 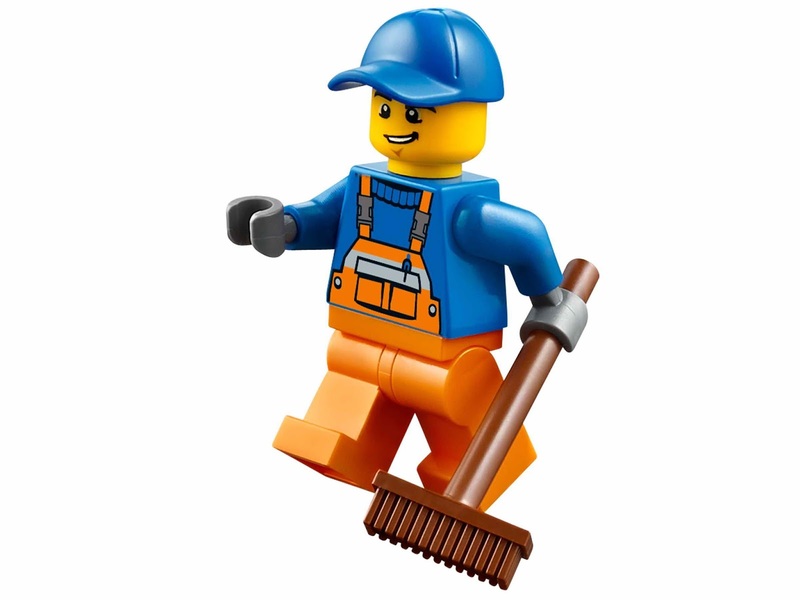 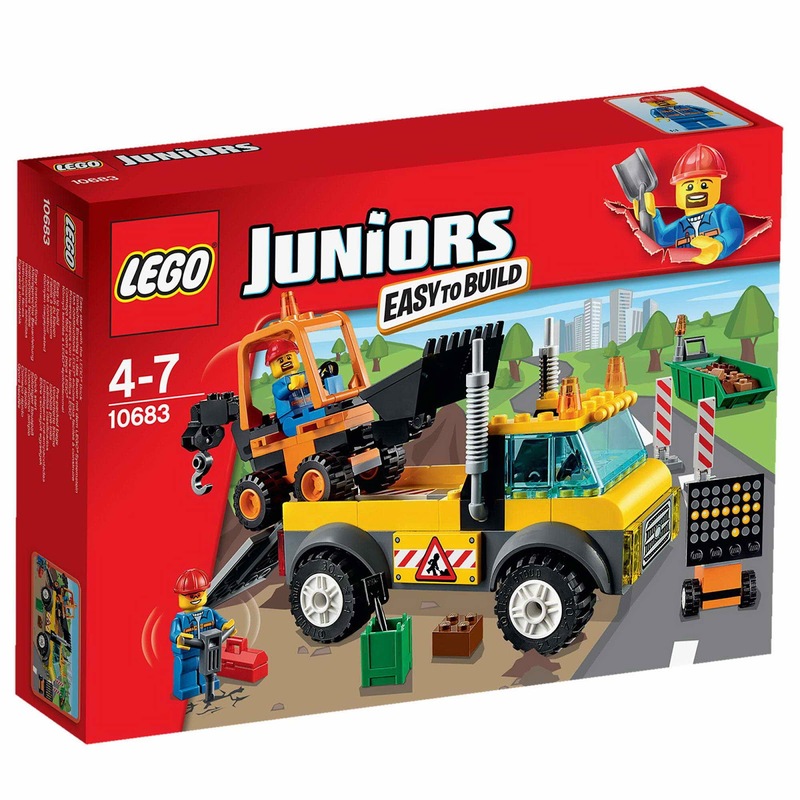 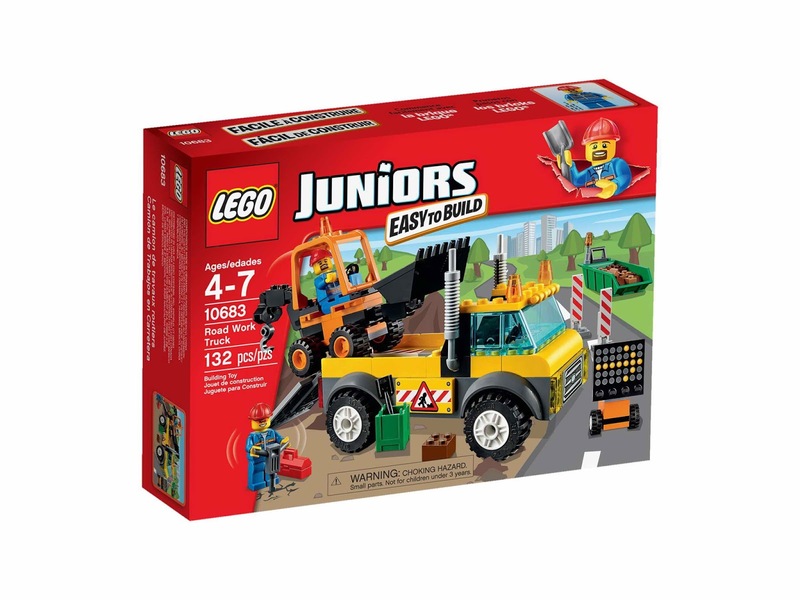 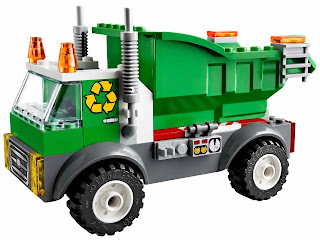 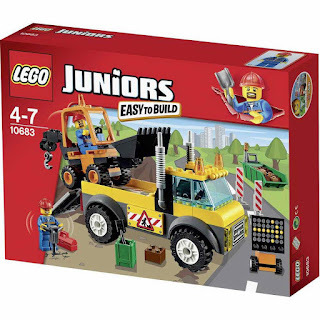 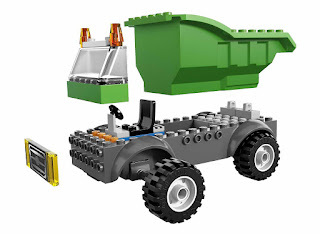 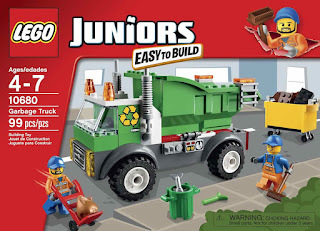 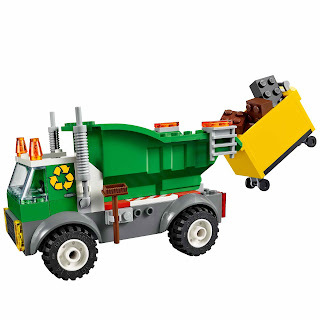 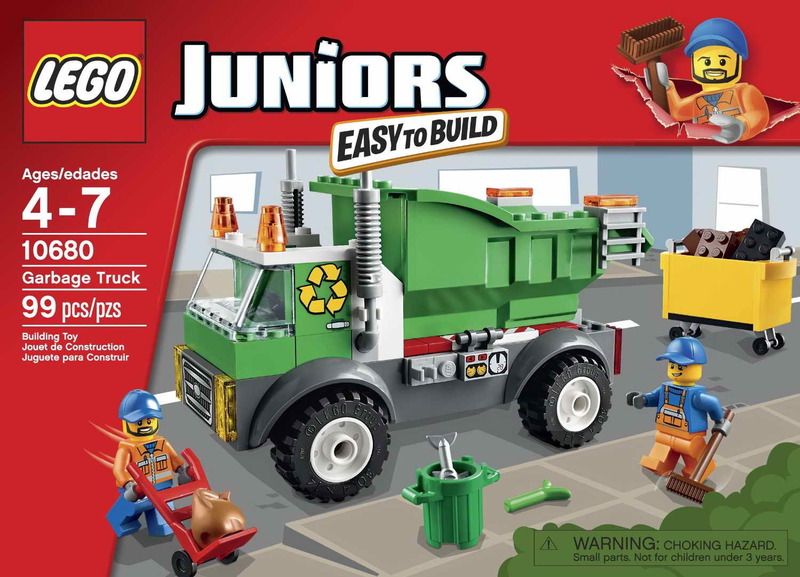 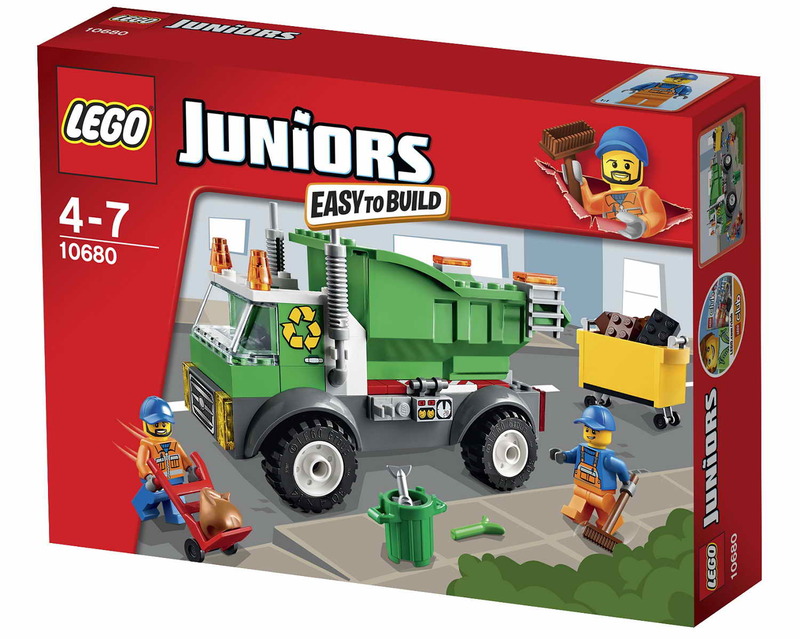 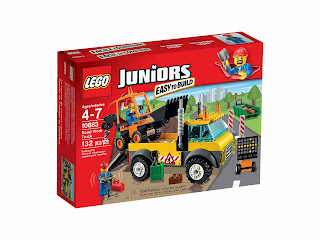 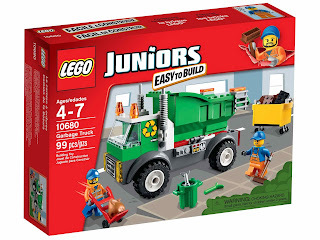 come with a garbage truck with tipping function, a dumpster and extra bricks for garbage. 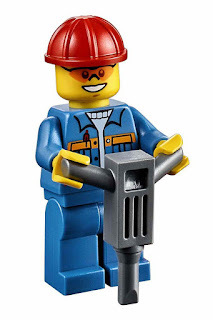 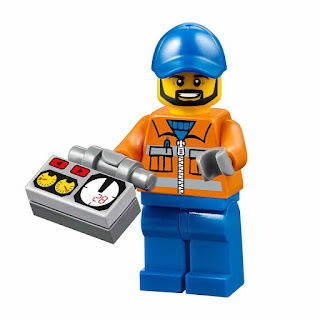 minifigs included 2 worker minifigs. 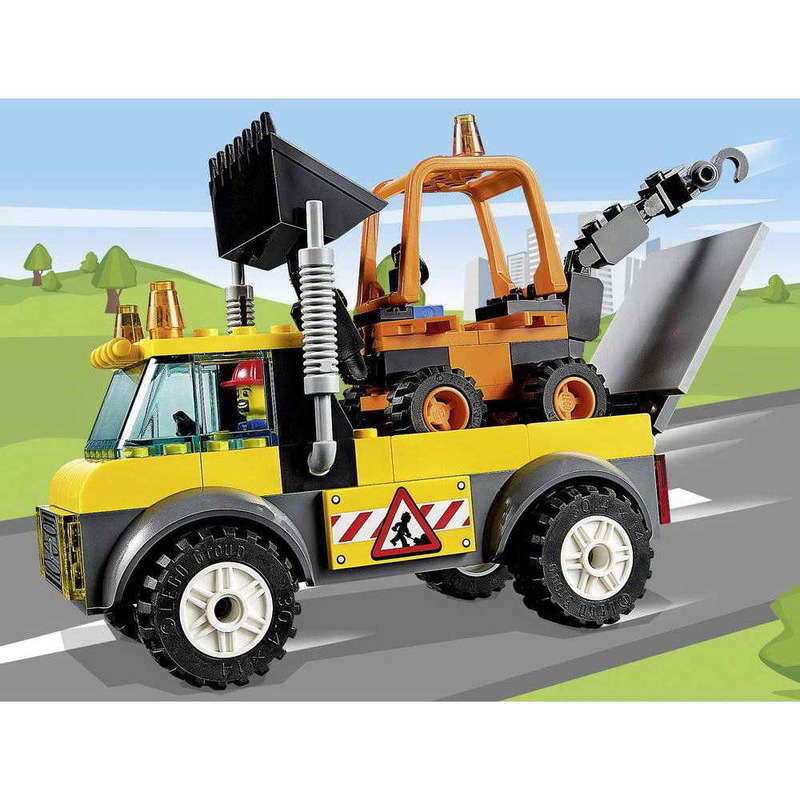 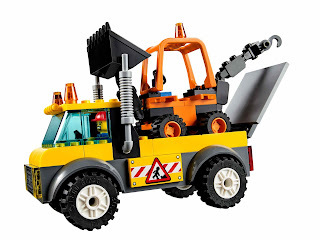 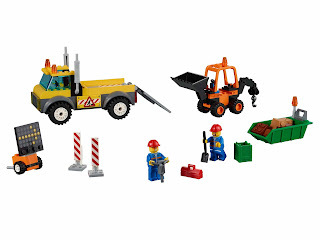 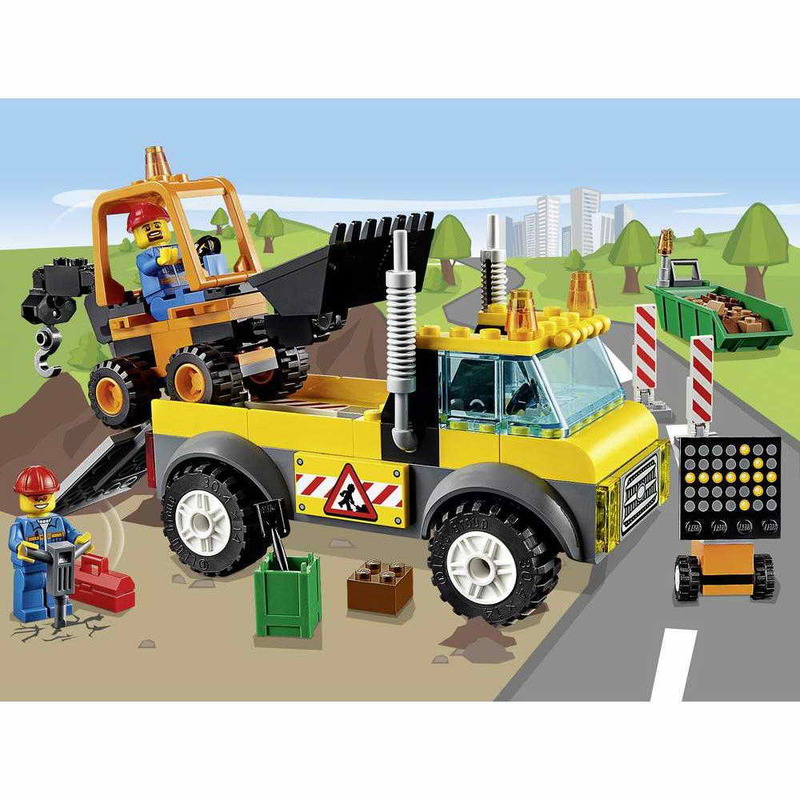 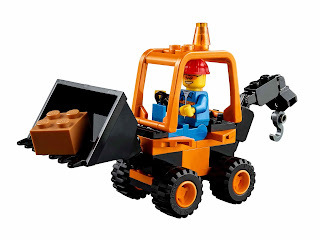 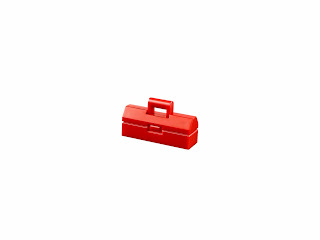 come with a road work truck with movable ramp, a mini digger with an openable roof and movable scoop and hook. 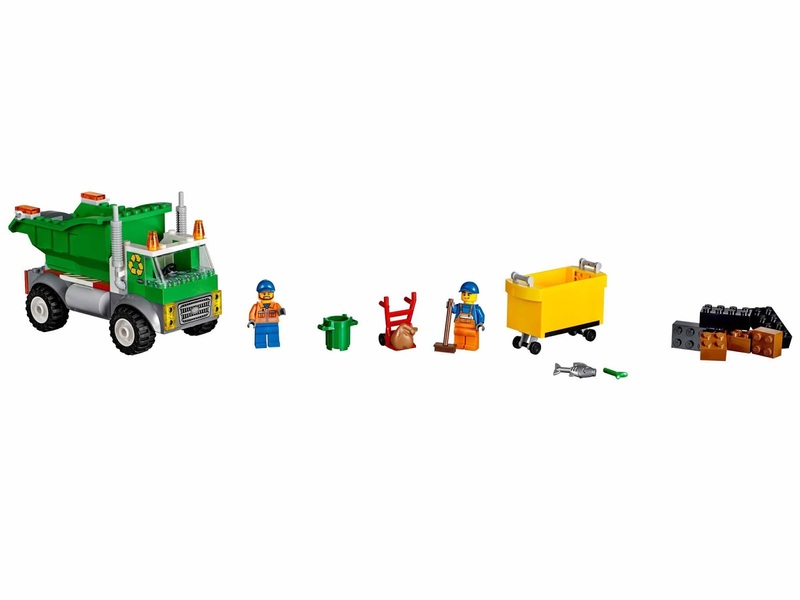 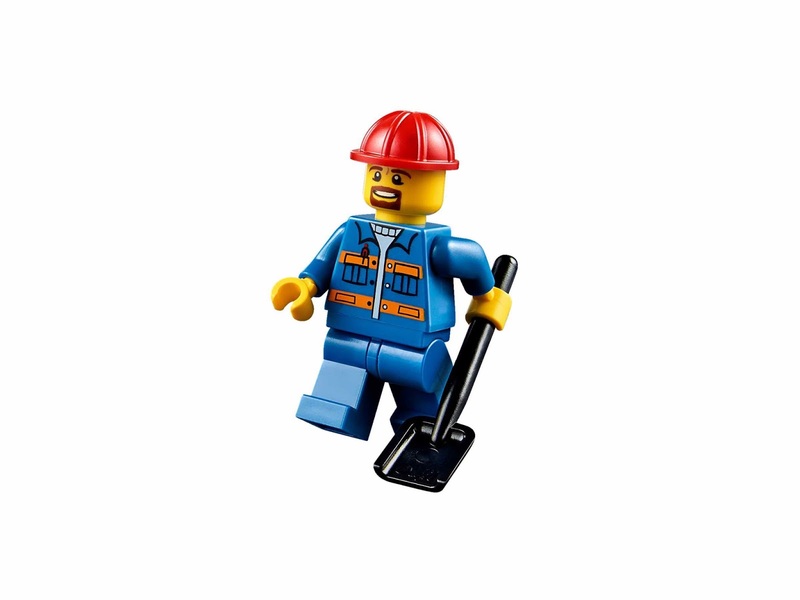 minifigs included 2 road worker minifigs.